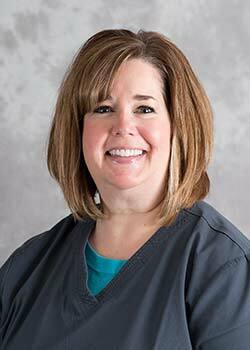 Beth has been with the practice for 19 years. 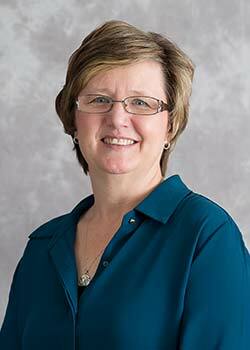 She is our office manager at our Clinton location and helps as treatment coordinator at our Moline office. She feels privileged to be a part of a positive, enthusiastic team that changes lives every day. Beth and her husband Joe live on a farm in rural Clinton. They enjoy traveling, wine tasting, and cheering on the Iowa Hawkeye football team. 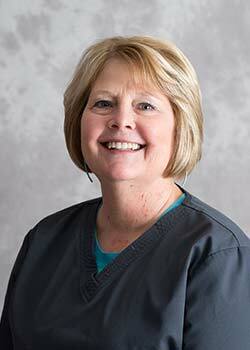 Beth has worked in the dental field since 1980. She enjoys interacting with our patients and getting to know each one individually. Beth and her husband, Kevin live in Camanche. Between the two of them they have two daughters, two sons, and five grandchildren. They enjoy going to stock car races, boating, and riding their Harley. 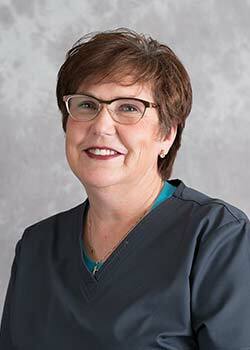 Barb has been with Orthodontic Group Associates for 21 years. She enjoys being part of our team and doing whatever she can around the office to help. Barb and her husband Terry have three children and two grandchildren with whom they love to spend time. 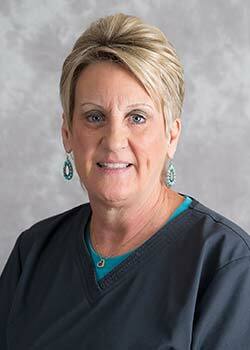 Deb has been with Orthodontic Group for 45 years. She makes all of our in-house retainers and appliances in our Moline location. She loves to get creative and make colorful biteplates and retainers for our patients. Deb and her husband Rod have five children and ten grandchildren. They enjoy traveling and spending time with family and friends. Donna loves interacting with our patients and watching them become more confident and outgoing as their treatment progresses. She feels lucky to be part of a very talented and professional team that works well together and likes to have fun. Donna and her husband Kendall have three grown children and three grandchildren. They enjoy traveling, golfing, boating, and spending time with friends and family. 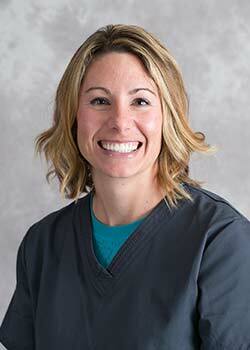 Jessie enjoys having fun with our patients, and likes getting to know them on a personal level. 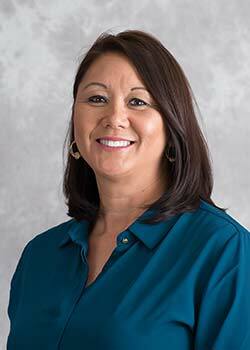 You will see Jessie at either our Moline or Geneseo office. Jessie and her husband Wes have two children, Haley and Wesley. They enjoy time as a family traveling and being outdoors. Karlene handles all of our patient accounts and the billing of insurance. Her favorite part of her job is meeting new patients and establishing friendships that last from one generation to another. In her spare time, Karlene enjoys crafting, gardening, and spending time with her family. 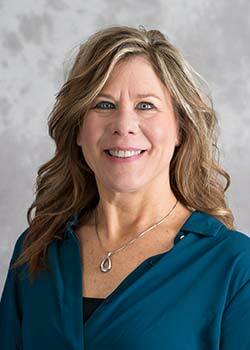 Kim will greet you with a friendly smile and help you with scheduling your appointments, checking your insurance benefits, and even making your lab appliances! 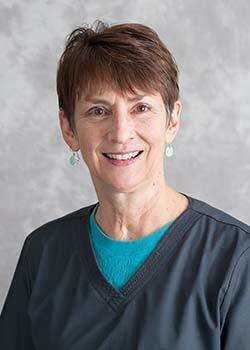 She has been with us for 40 years and really enjoys the interaction with our patients and their families. Kim and her husband Dave have been married since 2012. Between the two of them they have two children, a black lab named Parker, and four grandchildren. Kim volunteers at her church and helps with planning Christian retreats. She and Dave enjoy being outdoors, riding their ATV, traveling, and spending time with friends and family. Petra is one of the first faces you’ll see when you walk in the doors at Orthodontic Group Associates. 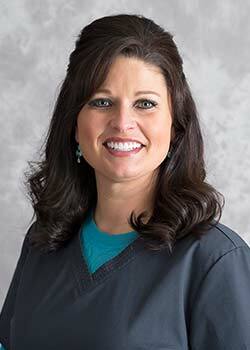 She works with the doctors to get you started on the road to a beautiful, healthy smile. Petra and her husband live in Moline. They have three adult children and three grandchildren they love to spoil! In their free time, they enjoy concerts with friends and family, and have just started kayaking, which they really enjoy! Tracy has a welcoming smile and is excited to help with yours! She has been a value to all three of our practice locations for 21 years. Tracy and her husband Ryan have two children and one dog, Rizzo. If they aren’t going to basketball games, they enjoy spending time together as a family. 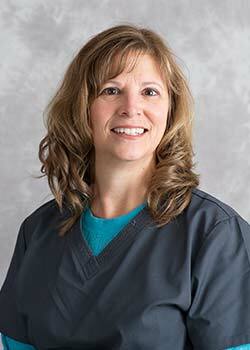 Trina enjoys meeting new patients and getting to know them. You might see her snapping photos around the office to keep up with our social media pages! 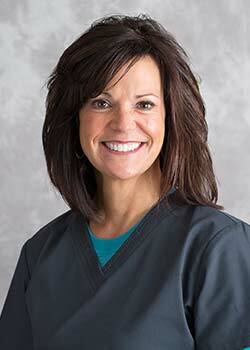 She has been with Orthodontic Group Associates for 24 years. When she’s away from the office, Trina follows Chicago Cubs baseball and loves traveling with her husband.